Miranda Turner is trying to do the right thing (she thinks). Her sister Lindy, formerly the superhero known as The Cat, has been found murdered and now her ghost is haunting Miranda. Miranda is left to don the mantle of The Cat and uncover the truth behind her sister's death. But there's a problem. 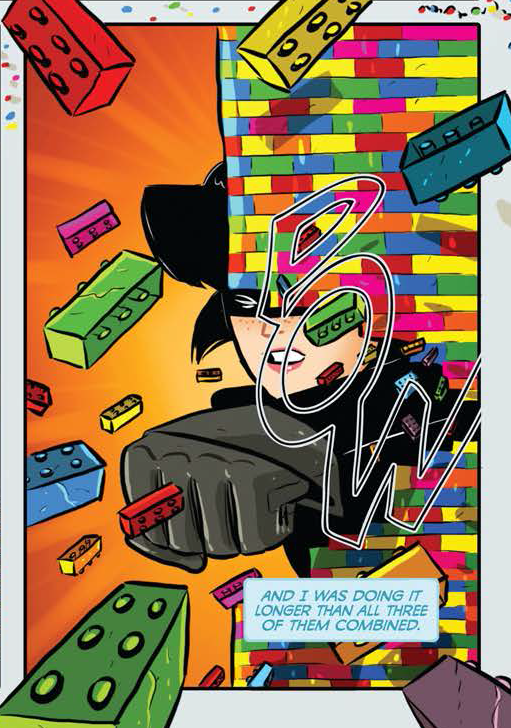 Miranda has no superpowers, isn't particularly good at solving mysteries, and, when Lindy's superhero friends find out what's going on, she's almost certainly going to be stopped. To make matters worse, whoever killed Lindy now has The Cat's superpowers. 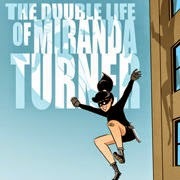 The Double Life of Miranda Turner is fun. It's reminiscent of early 2000s cartoon shows like Codename: Kids Next Door. The villains are hokey and brightly colored. They do odd "evil" acts like inundating the city with Legos. Miranda is clearly a bit of a klutz. Even when she's succeeding, it's not really very elegant or easily done. So, the battles are more like oddly choreographed playground fights. It's light-hearted and enjoyable. The drawings are simply rendered. The color is vivid, but it often lacks in detail. It makes up for this in a sense of whimsy. The more simplistic drawings allow the story to seem less far-fetched. It makes the murder-mystery/revenge storyline fun as opposed to dark. However, I thought that the story struggles. 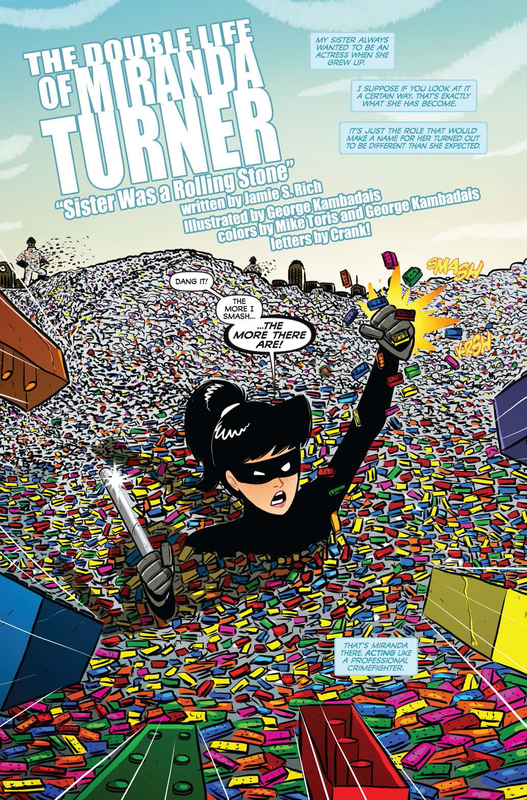 I've read the six single issues currently available and the story is both slow to build and reluctant to explain some of its more basic facts, like why Miranda has decided to take on her sister's role, a question neither answered or really acknowledged until issue 4. Personally, I found it odd and a bit distracting. The story has a villain-of-the-week feel to it. The story will often jump-cut to battles with villains who aren't introduced and aren't really ever talked about again. It's also got some seriously unsatisfactory plot holes, like how so few people know Lindy died, let alone why the superheros' guild who knows Lindy isn't talking to anyone and Lindy's identity isn't hip to what's going on. Eventually (in issue 3 or so) the story starts to come together, but I'm still not really sure what the end-game is or if some of these plot holes are going to be explained. This all being said, it's fun, it's short, and it's a low-investment story. The Double Life of Miranda Turner has some fun aesthetics and some pleasant humor to it. It certainly was entertaining to read.